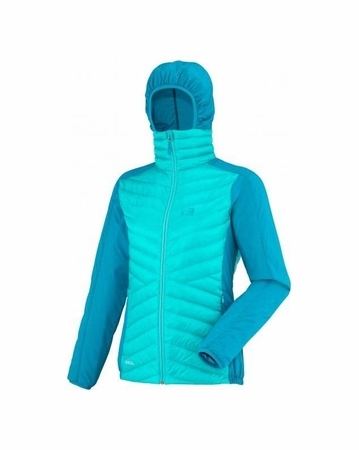 "Combining softness and ease of movement, lightweight and enhanced warmth, this jacket is designed for women and built for alpine ascents, forest rambles but also for everyday use. With woolen sleeves and down body, the Alpine fit is close to the body. Centre zip opening, adjustable hem"